Discussing film scores would not be complete without the orchestras themselves. In previous posts, I've highlighted the scoring stages and recording studios that most Hollywood film scores are recorded. Now it's time to turn to the orchestras used. In the Hollywood studio system, each major studio had their own orchestras, e.g. The Twentieth Century-Fox Symphony Orchestra, The MGM Symphony Orchestra. They naturally played on their own scores with the contracted players and composers/conductors. 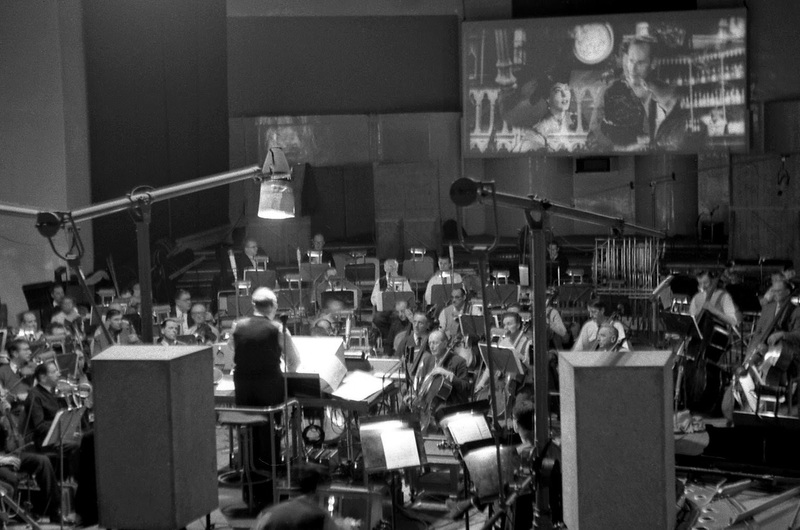 Since the end of that era, studios have been able to use a variety of orchestras. The topic of moving a huge chunk of recording to Europe is still hotly debated. But it is worth highlighting the orchestras that have played on some favorite film scores. Here's a look at some orchestras both in America and abroad. The majority of score recordings in Hollywood are done by this collective group. These top musicians go from session to session, performing at the various LA scoring stages. The orchestra received its name in 2002, after union negotiations with AFM and AMPTP to keep scores in Los Angeles instead of abroad. A recording-specific orchestra in Seattle, made up of musicians from other orchestras originally set up in 1995 for films and video games. Used as one of the first live orchestras used for video game scores, which continue to this day. A traditional concert orchestra, used on two special projects: recording of classical pieces for Fantasia 2000 and fittingly for John Williams' score to Lincoln. A traditional concert orchestra, used for a few projects such as Schindler's List, Saving Private Ryan and Mystic River. Outside of Hollywood, the LSO have probably recorded the most film scores. Still a concert orchestra, they started recording film scores in the 1930s, but began their recent popularity with the Star Wars series. A concert orchestra, used for many film and television scores. 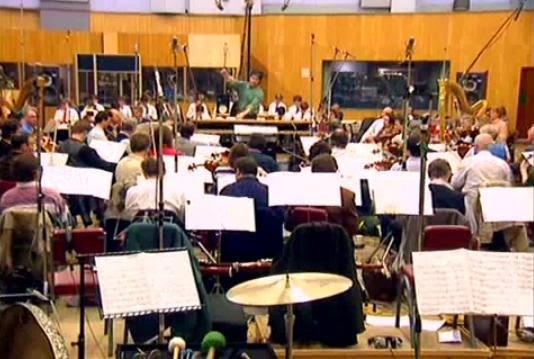 One of the other popular orchestras to record with in London and a favorite of Howard Shore. The orchestra, set up by Charles Gerhardt primarily for recording, recorded in England and used often by Jerry Goldsmith and Michael Kamen. The Gerhardt recordings of classic film scores are one of the orchestra's highlights. A session orchestra on many classical albums in addition to the film scores. Scores recorded include: Tom Jones, Young Sherlock Holmes, RoboCop, Tombstone, Lost in Space, The Mummy Returns. A concert orchestra known for their numerous classical albums. Known in the film world for their re-recordings of Bernard Herrmann (among others) scores led by John Debney and Joel McNeely. A film score orchestra primarily known for their re-recordings and compilations, but they have appeared as the orchestra in new film scores.